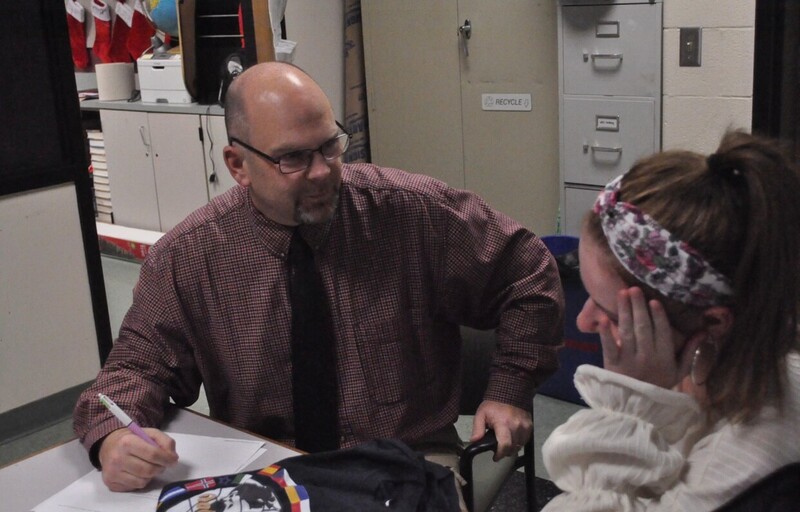 Chris Decker, Woodland history teacher, has recently made a large commitment–advising a new club–Global Scholars. While the Global Scholars club is fairly new, this shift of advisors was necessary. Chris Tomlin, original advisor, is very busy with DECA and Student Government, and did not always have time for Global Scholars. With the addition of Decker, the club hopes to get a lot done this school year. On Decker’s very first meeting of the club, food was shared, plans were made, and homework was even assigned. This homework wasn’t difficult homework: do some research, brainstorm ideas, and post the days of the next meetings. The club is planning many fun activities including fundraisers, the annual holiday party, and possibly some field trips. “When I had my first meeting with Global Scholars, we discussed our goals as being to learn about foreign cultures, to incorporate those cultures into Woodland, and to have fun doing it,” says Decker. Victoria Baliga, the primary Founder of Global Scholars, is hoping that the addition of Decker to the club will bring some positive results such as more common meetings, more productive meetings, and great school events and fundraisers. One of the very first things the club plans to do with the addition of their new advisor is a holiday party. Last year the club’s party was a huge hit. All of the members brought foods that originate from their ancestors’ home countries. Some of this food included different types of pierogi, and many types of cookies. One of the most difficult things in gaining a new advisor is to make sure that there is compatibility. An advisor and a president or a founder can not always be arguing or disagreeing. They must work well together. Global Scholars had no worries about Decker and Baliga working well together. Decker completely agrees with how well he and Baliga will work together. “Victoria is a strong, dedicated woman and I will do whatever Victoria tells me to do so we will work well together,” claims Decker. The Global Scholars will hold their next meeting on January 30th. Anyone interested in joining the club is welcome to attend.